Baltimore Metro ends 2017 with a new December record median sales price of $250,000; Inventories are at lowest level since August 2005. Rockville, MD – (January 10, 2018) – The following analysis of the Baltimore Metro Area housing market has been prepared by Elliot Eisenberg, Ph.D. of MarketStats by ShowingTime and is based on December 2017 Bright MLS housing data. Washington D.C. Metro housing market closes out 2017 with record high December house price of $420,050; December inventories decline for 20th consecutive month and approach decade lows. 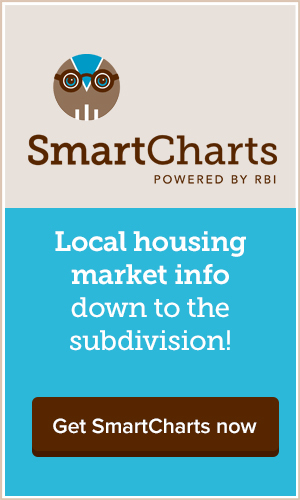 Rockville, MD – (January 10, 2018) – The following analysis of the Washington, D.C. Metro Area housing market has been prepared by Elliot Eisenberg, Ph.D. of MarketStats by ShowingTime and is based on December 2017 Bright MLS housing data. Baltimore Metro median sales price of $254,000 sets new November record; Inventories decline by 11.0% to lowest November level of the decade; pending sales show first November decline of the decade. Rockville, MD – (December 11, 2017) – The following analysis of the Baltimore Metro Area housing market has been prepared by Elliot Eisenberg, Ph.D. of MarketStats by ShowingTime and is based on November 2017 Bright MLS housing data. Washington D.C. Metro median price of $425,000 at highest November level in decade; closed sales and pending contracts at November highs; inventory levels decline for 19th consecutive month. Rockville, MD – (December 11, 2017) – The following analysis of the Washington, D.C. Metro Area housing market has been prepared by Elliot Eisenberg, Ph.D. of MarketStats by ShowingTime and is based on November 2017 Bright MLS housing data. Rockville, MD – (November 10, 2017) – The following analysis of the Baltimore Metro Area housing market has been prepared by Elliot Eisenberg, Ph.D. of MarketStats by ShowingTime and is based on October 2017 Bright MLS housing data.